PEARL FASHION: Fancy, Fun and Free! New Pieces for Teens! Hey Teen Fashionistas! We love to read all of your emails, comments and posts on Polyvore but most importantly we heard your demand for pearls that are fun, funky, fancy and free. Pearls Only has added a collection of pearls that are not only affordable for young ladies but totally amazing and super trendy! Today, we are highlighting the amazing Jasmine Black Necklace that is made up of freshwater pearls and knotted into a sheer black ribbon that gives it a young, hip and chic appeal. A great way to add a little awesome to your accessory is to wear it with a fresh white tank and colorful jeans because they are really trending for the spring. Another popular fashion accessory for the summer is pegboard flats that can take a casual look and make it fly-girl chic. 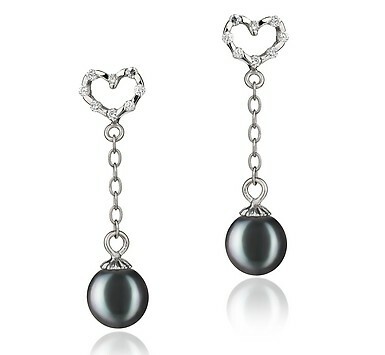 What do you think of the new style that is gracing the PearlsOnly.ca site? Would you wear? This entry was posted in PearlsOnly Blog and tagged cute, fashion, NECKLACE, nice, Pearls, teen pearls, young by PearlsOnly Team. Bookmark the permalink.